More than you know. Your handshake is a large part of the first impression you leave with people. What kind of hand-shaker are you? Ironman Grip: If you’re getting winces or you hear knuckles cracking, that’s your cue to let go! Assertiveness and confidence are glorious traits, but they aren’t proven by the physical power with which you shake. In fact, making someone completely comfortable portrays more confidence than a vice grip does. Give a hand a break (figuratively) and take it easy on your target. The Moisturizer: Sweaty palms…you know what I’m talking about. Sometimes this simply can’t be avoided, like when you’re nervous, are experiencing anxiety or wearing a wool sweater at a summer barbeque. Do yourself a favor by being conscious of what you CAN control…like keeping that shaking hand empty of wet or sweating drink glasses. 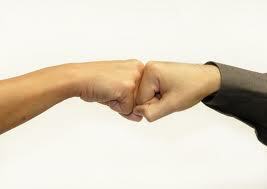 If it is nerves, try placing the shaking hand in a pocket until necessary to give it a wipe and put it to work. Fishy Shake: The largest pet peeve of most career networkers. This shake-style is floppy, disinterested and seen as lacking in commitment and sincerity. If you have an injured hand or a transmittable virus, say so up front, rather than putting in only half the effort. But if you’re going to shake, then move in for web-to-web contact and shake it like you mean it. The Double-Clasper: Generally the super friendly, open-to-hugging, touchy-feely types. Bear in mind that this approach makes some folks uncomfortable, so act on this impulse only when appropriate. The most comforting fact about this shake-style is that it exudes genuine friendliness…it’s not easy to fake the enthusiasm necessary to take someone’s hand into both of your own and actually enjoy it. The Fingertip Toucher: This shake-style requires minimal effort and is comprised of lightly grabbing the fingertips and giving no more than a little wiggle. I bet you’re trying to follow through with the manners your momma gave you, but keep in mind that you’re giving the impression that you’d rather be anywhere but here. Worst case scenario…you’re a total diva and are subconsciously sending the message that you think you’re better than others. Can’t Touch This: OCD types don’t like handshaking at all. No judgment here! We all have the right to our own quirks and boundaries. Maybe it’s a germ thing. Just remember that it’s okay to let people know if you don’t want to be touched. You can say you have a cold, or aren’t a hugger…whatever. Most people are easy-going enough to roll right along and appreciate being warned so as not to cause you discomfort. The Pinky Wagger: If you need to resort to using your pinky to shake, it’s a likely sign that you are holding too much in your hands…OR (gasp) that you don’t really mean it and prefer to fake-shake. The label on this shake-style says disheveled, disorganized or simply more interested in the food or booze than in meeting new people. Slow and Steady: As the most considerate of all shakes, the slow and steady style says to the world that you’re interested, confident and focused on the individual. 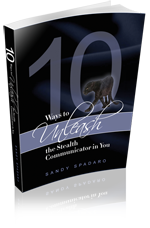 Absent are the indicators of being rushed or insincere. Slow and steady allows you to adjust your grip, gauge your tension and get in a friendly shake-pump. Did you identify yourself somewhere? Don’t worry, you don’t have to fess up to it in your comments…but if you’d like to, I’d welcome hearing about it.